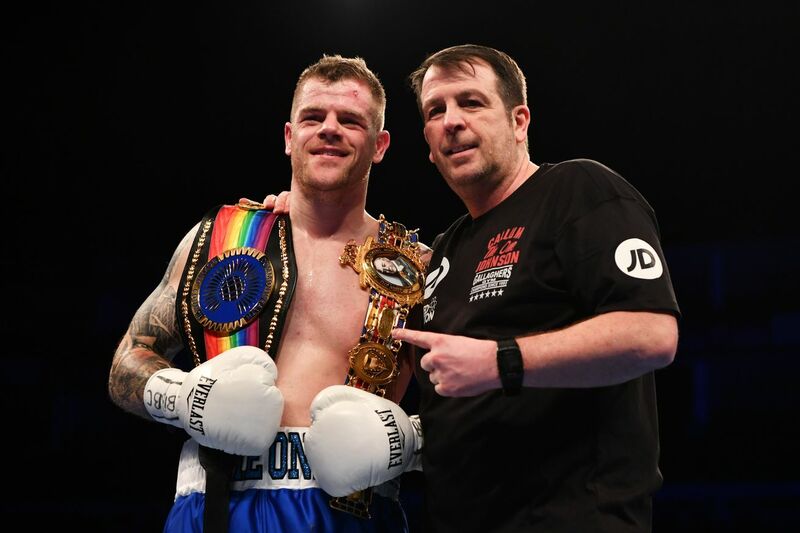 Callum Johnson is looking to stay in the world title mix, and should be back in the spring. Callum Johnson looks likely to return to the United States in March for a fight with Seanie Monaghan in New York, according to trainer Joe Gallagher at Sky Sports. Johnson (17-1, 12 KO) is a former British and Commonwealth light heavyweight champion, coming off of an exciting knockout loss to IBF titleholder Artur Beterbiev in October. The 33-year-old Johnson had been ordered to defend his British title against prospect Joshua Buatsi, but he’s vacated as he intends to fight for another world title sooner than later, and given his age that’s probably the right call. Monaghan (29-2, 17 KO) is a well-known fighter in New York, popular and fun enough to watch, but he’s been exposed badly in his two steps up against Marcus Browne and Sullivan Barrera. Browne stopped him in two and Barrera essentially shut him out over 10 rounds in his last outing in November. Johnson-Monaghan would probably take place on the Bivol-Smith undercard, which could set up Johnson to face the winner of the main event.